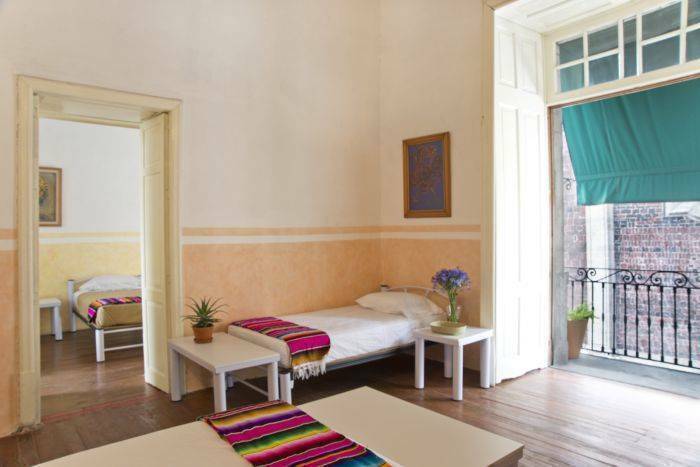 Located on a charming quiet pedestrian street in the heart of Mexico City, Casa San Ildefonso is a hostel that opens its doors to you offering you an authentic laid back experience where friendly familiar service meets cleanliness and comfort. 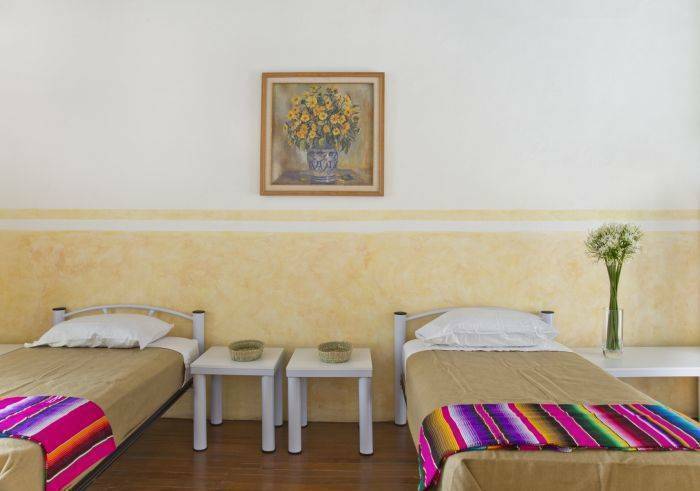 Spacious yet cosy rooms will receive you inside a recently renovated 19th century building that is one block away from the Templo Mayor and Zocalo. We believe in providing you with a type of accommodation that will only enhance your journey. 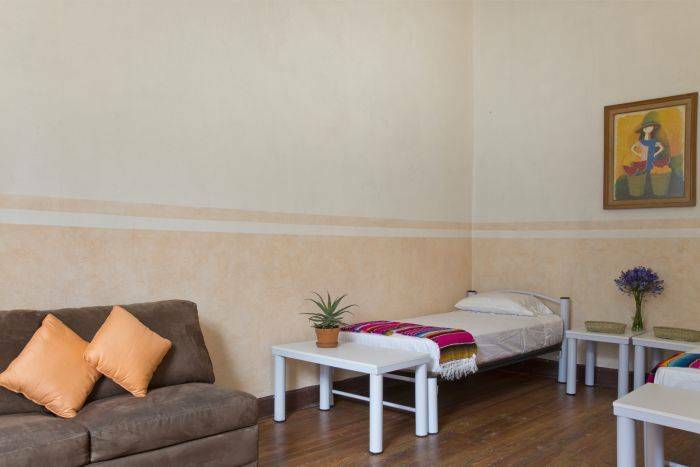 Our hostel is located right in front of the famous San Ildefonso Museum which has its walls covered by famous Mexican muralists Diego Rivera and David Alfaro Siqueiros. Walk for another 50 meters and you'll find yourself right in the Zocalo, Templo Mayor and Cathedral area. 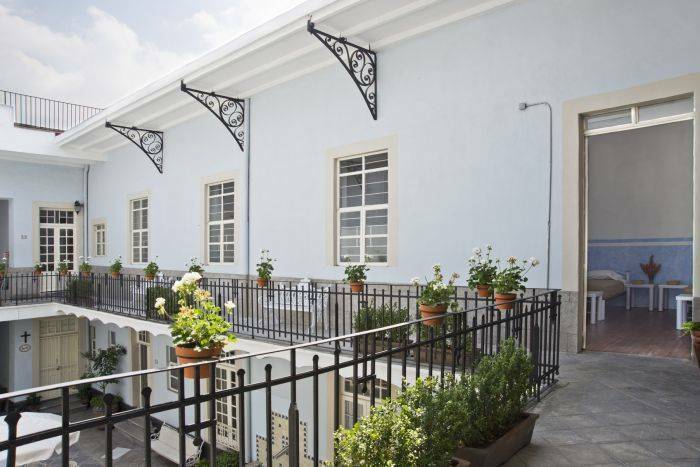 The 19th century house that hosts Casa San Ildefonso was rehabilitated with special care in order to keep the building's most authentic features. Its two sunny courtyards are the perfect spot for you to relax and share your exploring experiences with other travelers. If you'd rather be indoors, we have two sunlit common rooms in which you can watch Mexican movie classics, tv, listen to music, or engage in a table soccer game. A cancellation fee of 20% of the total booking price will be charged .